2. Press alt + F (do not release the alt key upon pressing the letter F). 3. 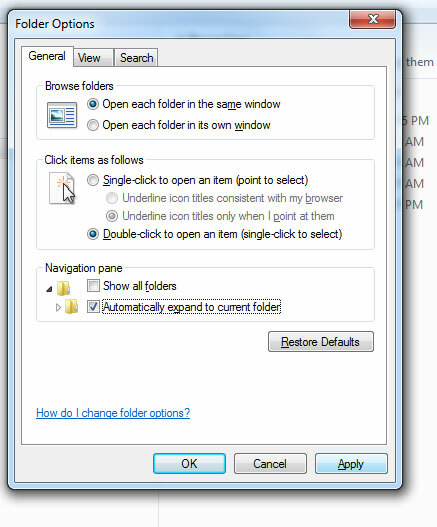 Select Tools on the menu then Folder options. 4. On the general tab make sure the following option is ticked. 5. Click on Apply or OK and you are done! geez, thanks been looking all over. couldn’t believe i can find it here, cheers mate!